Q: What are the levels Recruit, Established, and Competitor? 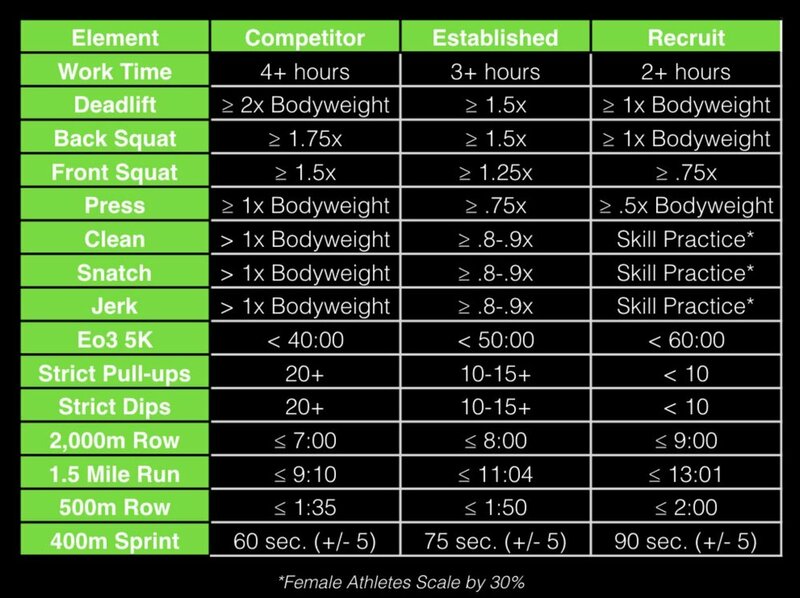 f you are brand new you will realize the workouts are given at three levels; recruit, established and competitor. Below, you will be able to see where you fit in. You are only in a category if you can achieve EVERY element in said category. If you are strong as a competitor, but your conditioning is recruit level...you are not at the competitor level. If you are below recruit, you will find our workouts very challenging, but not impossible. Newer PostQ: How is the strength programmed? Older PostQ: Can I get sample training?